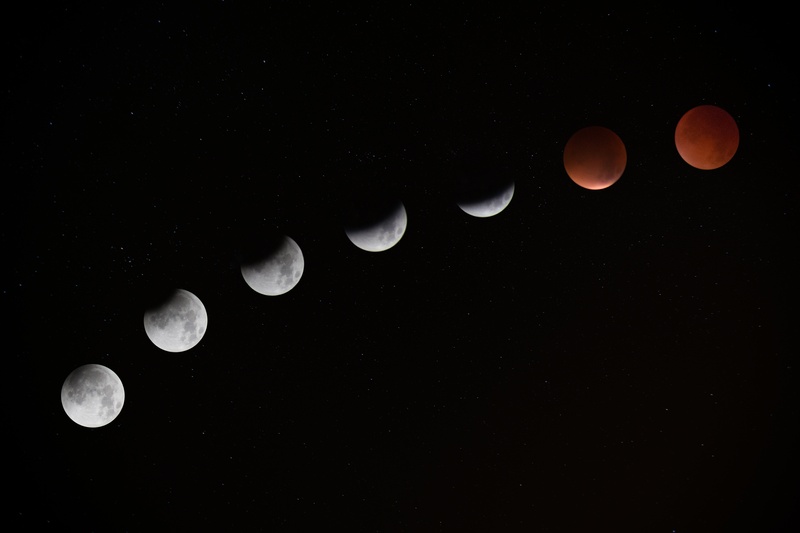 The moon’s phases impact the oceans – the rising and lowering of the tides (ebbs and flows), the hunting and breeding cycles of animals, and the growth of plants. Given that we’re made of 75 percent water, it’s only fair to say the moon has some effect on human beings as well. During our everyday lives, we get busy, and our energy and attention is scattered. The best way to get more in touch with ourselves and our emotions is to observe our emotions based on the phases of the moon. I also enjoy using La Luna’s cycles to set intentions with my Tarot cards. New Moon: The best time to manifest! This is the birth of a new cycle. An energy of vibrant, magic-filled energies. Carefully plant seeds to manifest, bringing life your greatest desires. Waxing Moon: A time for taking action toward your goals. Life may feel a little more active – and potentially even chaotic during this period. Waning Moon: This is a time to reflect and withdrawal. Rest, and meditate to release and let go of anything not serving you. 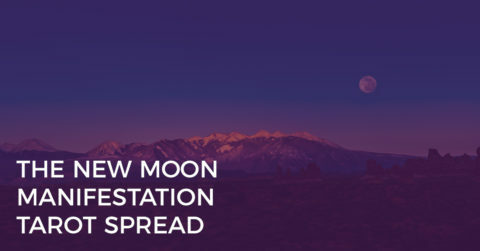 The New Moon is a perfect time to set intentions for the waxing phase when the moon gets bigger and bigger, and your dreams and intentions come to fruition. A new moon signals a time to plant, create, and conceive all that is ready to burst forth into physical form. This is a good time to sit in the ‘void’ – the in-between. It’s that space when you have released all you need to release and you are now getting ready to move into something new. It’s like a short waiting period, getting comfortable with the ‘not knowing’. It’s also a good time for resting, bunkering down, retreating, and going within. 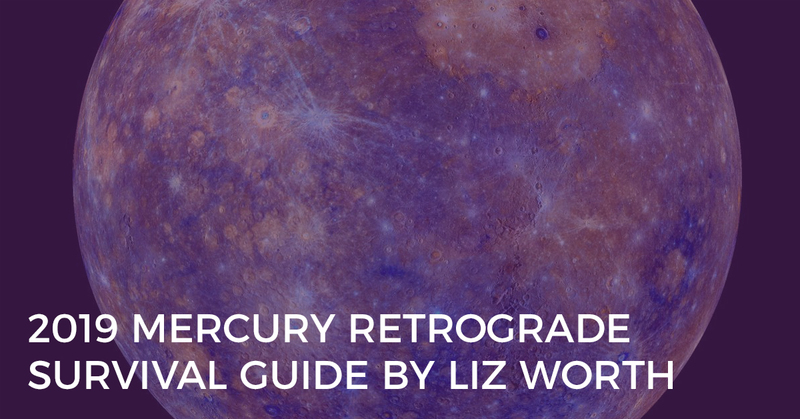 The best way to set your new moon intentions and manifest your desires? A Tarot spread, of course! What is emerging within me? How can I bring my goals and intentions to fruition? What additional resources are available to me as I manifest my goals? 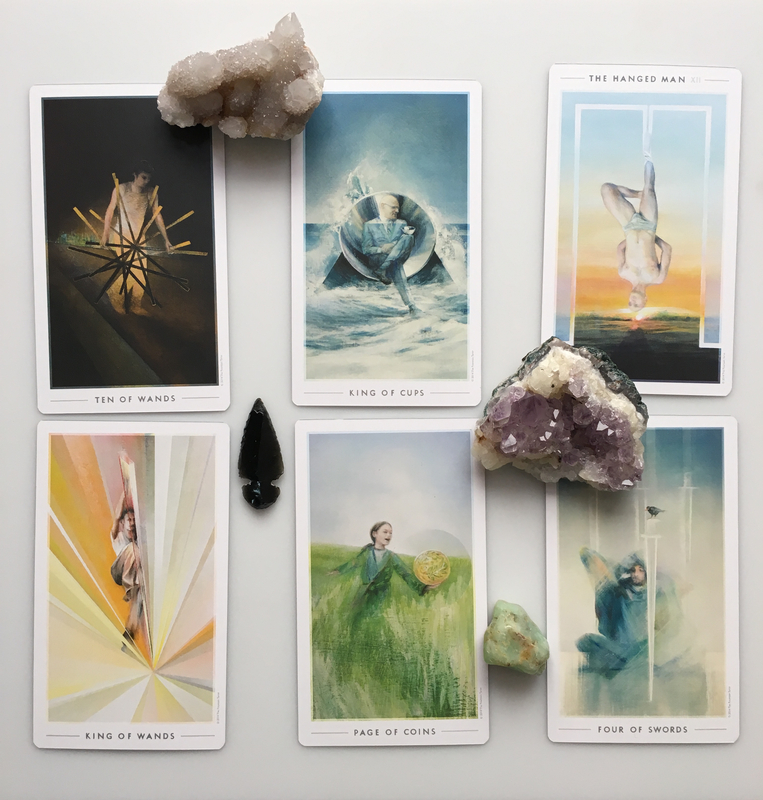 In the case of this reading, it appears that the seeker has released the burden of taking on too many responsibilities, as illustrated by the Ten of Wands. The man on the card literally looks stuck behind that tangle of wands. Releasing this burden has allowed the seeker to restore emotional balance and control, as illustrated by the King of Cups. By taking care of herself, the seeker is now able to show love and devotion to others. As a result, the seeker is starting to be able to look at the world from a different perspective, relinquishing her ego and reconnecting to her true nature, as demonstrated by The Hanged Man. The seeker wishes to take this newfound perspective and grow into the archetype of an inspiring and passionate leader (see the King of Wands). She can bring that goal into fruition by channeling the qualities of the Page of Coins/Pentacles: grounded and practical enthusiasm, getting ones’ hands dirty, manifesting things into material form, and preparation. As an additional resource to help her manifest her goals, the seeker can meditate, rest, reflect, and reconnect to self. 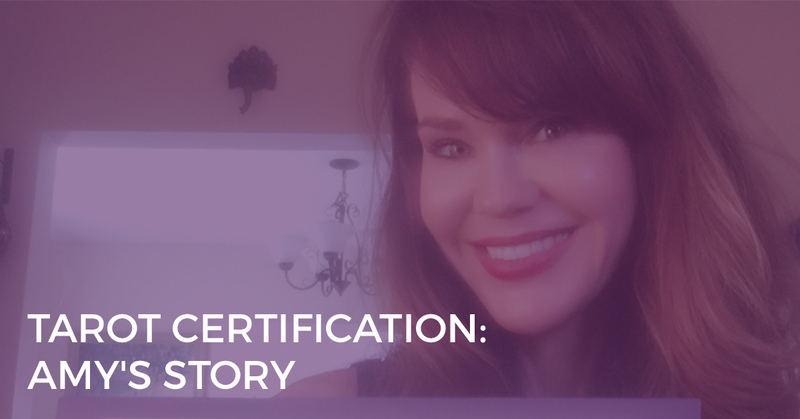 Now, it’s your chance to turn those intuitive messages into real-life intentions and actions. For the next 20 minutes, write down all of your intentions for the coming month. If you get stuck, return to your Tarot cards for further insight. For example, you might ask, “What is in my Highest Good when it comes to health and fitness?” Dig deeper and you’ll find your truest source of intentions. At the Full Moon, reflect on your Tarot reading and your intentions and see what has come into fruition since the New Moon. Want to Play with Tarot Cards? 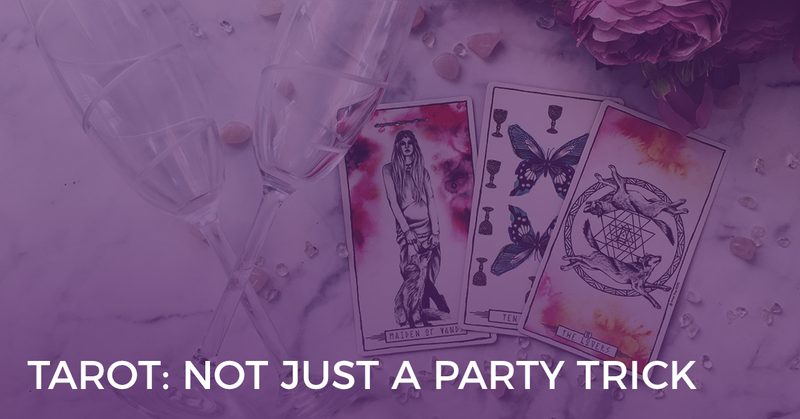 Join us inside the Biddy Tarot Community! We love playing with Tarot cards and discovering new insights. We’re a warm, welcoming group who share one thing – a LOVE of Tarot. 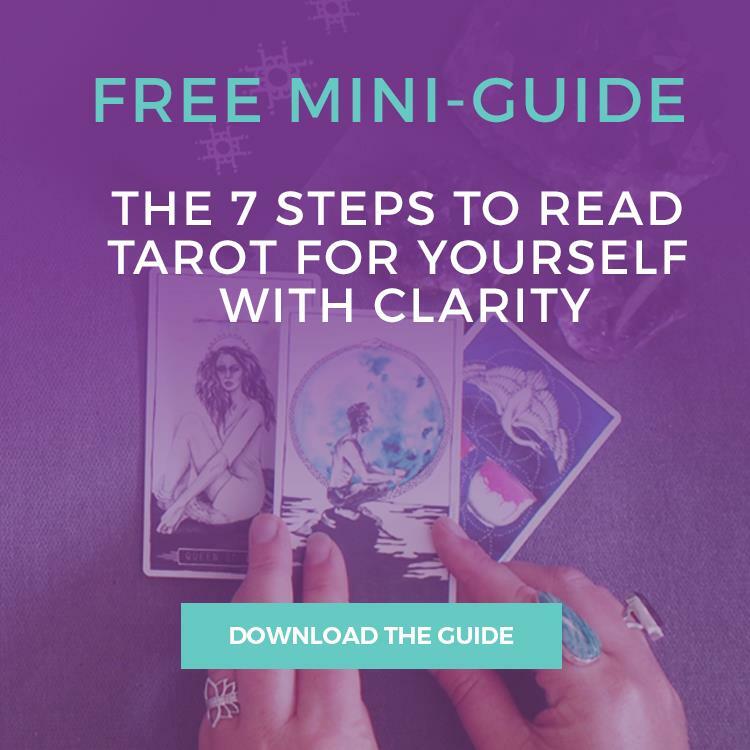 This modern learning community is for people who want to improve their Tarot card reading skills and connect more deeply to their intuition in their day-to-day lives.